Motorbike maintenance is essential as temperatures drop with the approaching winter months. Road gritting attacks metal parts and the elements cause condensation, allowing moisture to hang around and create an environment for corrosion. 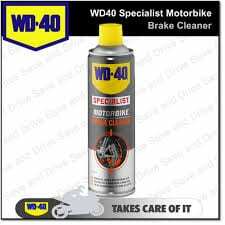 Without putting your motorbike away for the winter, your bike will be under constant attack, so give it the essential maintenance it needs, using WD-40 Specialist Motorbike Products (of course). We have it covered! There are two approaches to fighting the threat of corrosion: wash your bike after each ride or apply a layer of protective material such as grease. If you opt to wash your motorbike after every ride, our Total Wash is the perfect choice. This product is an all-purpose cleaner designed to quickly cut through traffic film and road grime; leaving a great finish. It’s safe to use on paintwork, plastic, rubber, aluminium, chrome, carbon fibre and disc pads. Use it all over the bike as part of your motorbike maintenance routine. Finish with WD-40 Motorbike Specialist Wax & Polish, which provides a professional deep glossy shine for paintwork, aluminium, and carbon fibre! 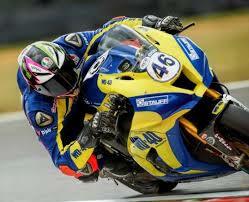 Or use WD-40 Specialist Motorbike Silicone Shine, giving a professional shine to your bike with no need to buff out! Your motorbike maintenance must have a big focus on chain and sprockets, as they are constantly under attack from rain and grit, so they need frequent lubrication and occasional cleaning. Below are 3 great products to keep your motorbike chain clean, lubricated, running smoothly and protected. Chain Cleaner – Quickly and easily cleans grease, oil, dirt and grime from chains. Chain Lube – Provides quick-drying and long-lasting lubrication on O, X and Z rings. Chain Wax – Lubricates and conditions motorbike chains in wet conditions, with the benefit of added corrosion resistance! With more moisture in the air, corrosion can also attack switchgear and electrical connections, so lube them up, too! Undo the screws holding switchgear together, and squirt with WD40 to drive the moisture out. Do the same to all electrical connections (especially exposed connectors and switches e.g. for brake lights and side stand cut-out). Brake systems are vulnerable to road sludge, grit and salt. Specialised Brake Cleaner dissolves grease, oil and brake fluid from brake discs, calipers, and clutch systems! The pad retaining pins and exposed areas of the pistons should be greased sparingly (with copper grease or specialist brake grease). 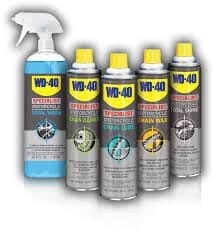 Our WD-40 Specialist Motorbike formulas have all been developed in conjunction with the University of Sheffield, including the creation of an anti-fling test for chain-specific formulas, to keep the product working where you’ve applied it. 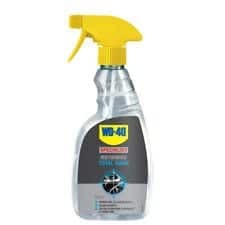 We also test all our products with Team WD-40, from the British Superbikes Series, to ensure that our range consistently meets the needs of intense use and high-performance race environments. 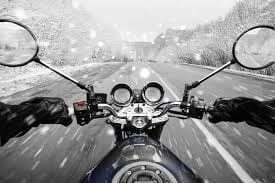 Other factors to consider when discussing motorbike maintenance are a pre-winter service, where a dealer can perform any winter preparation tasks you want; such as checking coolant, oil, lights and your battery.